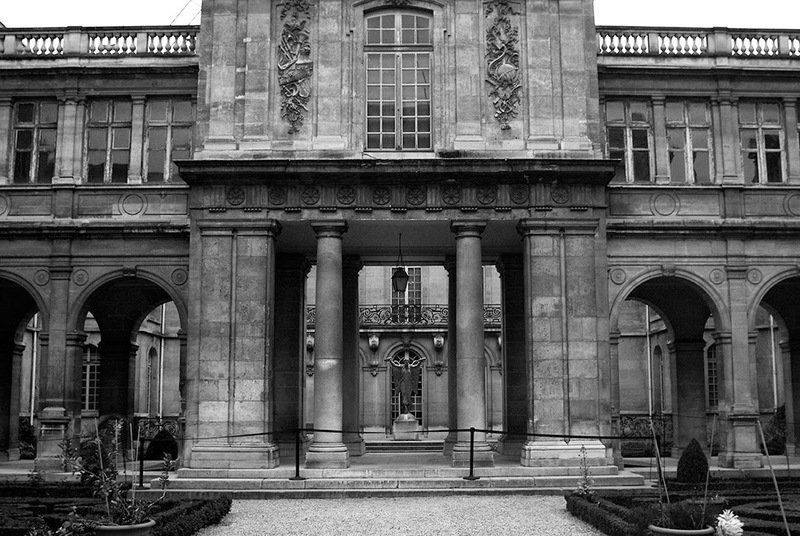 After leaving the Place des Vosges, I walked briskly up to the Musee Carnavalet. My combat boots thudded on the pavement for I was dressed to make the most of my very short time in Paris and not to catch the eye of Mr. Cunningham. But, as always, when I turned into the gardens, which, kindly are available for the gander before the museum's entry, time did what it always does in that particular spot: pirouette, curtsy, stop. I must have had that goofy smile on my face for I could feel one of the gardner's gaze swish across me like a shadow. She was about my age and also a redhead, just a more miniature Parisienne version of me. Yes, she even had that certain panache despite her bright green "Jardins de Paris" jumpsuit. "You have an amazing job," I blurted out with a vaguely show-girl arm sweep towards the topiary surrounding us. She laughed, startled by my directness but nodded her head in agreement. "It isn't always so glamorous though," she added and I responded with "I am not so sure about that" head shake. We chatted a bit more and then wished each other a Bonne Journée. 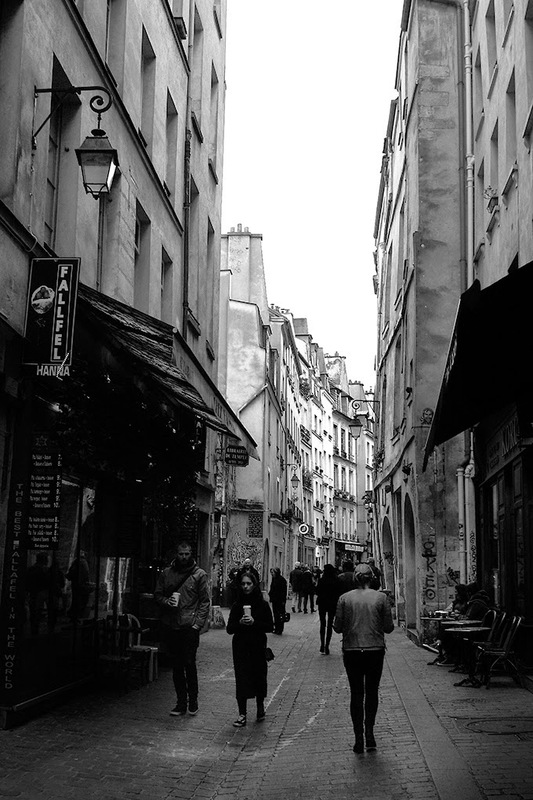 As I continued towards the rue des Rosiers to sate my months-long craving for a felafel with all of the fixings (truly one of the great take-out options in Paris at only 5.50 Euros a pop), I thought, "That is why I am still mad about the Marais and always will be." 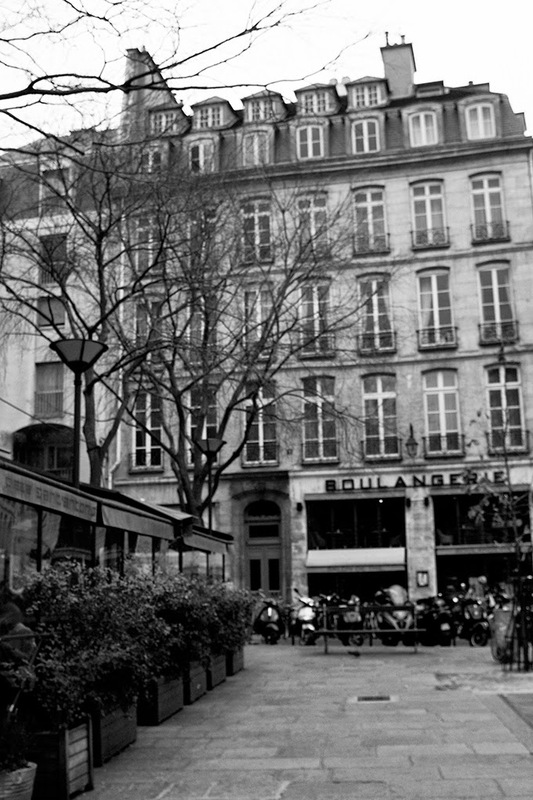 ...it is in this neighborhood that I feel the bonhomie that often eludes me elsewhere in the City of Light. And that makes the city not quite so big after all. I sat down on a bench in one of my favorite little squares and munched happily, shivering slightly while I did so and sighed a little valentine to the beautiful Marais. 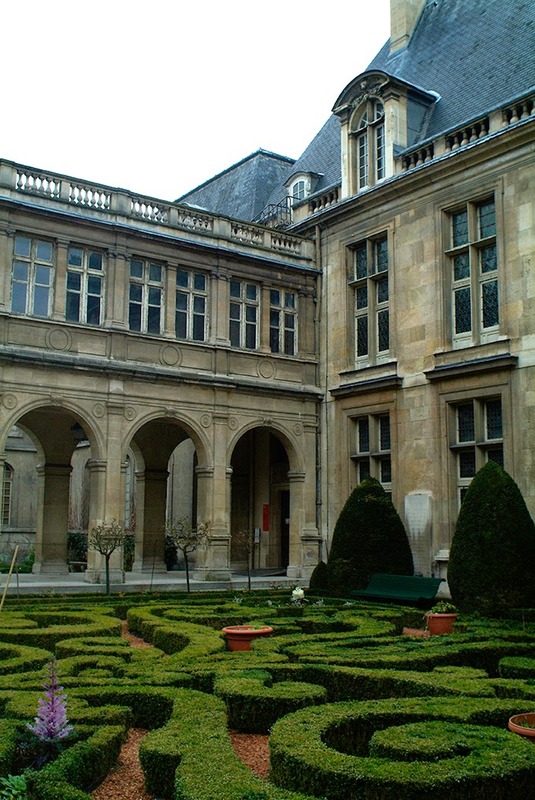 A wonderful thing to have care for the garden at the Carnavalet! 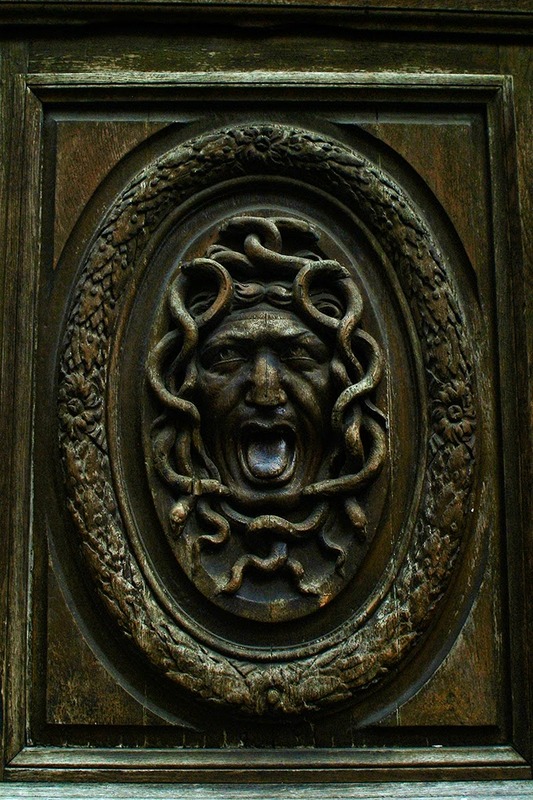 Oooh, that happened to me the first time that I visited Florence! And it was more than a wee chill, it was a big old wave of "yes." Lovely Heather! It was just like being there with you! I love that place and that atmosphere too. Thank you for your description and photos! Wonderful! Heather this is where I want to spend some time when I finally go to Paris. Taking in all of the wonder yet intimacy of the Palace Marais! Perfectly said, Karena! And I was in such a hurry...one could spend days just in the Marais alone! I felt like I was walking right beside you! I love going on excursions with you, Who can afford all those clothes, I wonder? They're pretty, but insanely priced! I made a wee mistake in my earlier post - I wish there was an "edit" button (and maybe I should think twice about posting before coffee!). But love your happiness at returning to an old friend, love that you satisfied your months-long craving for a falafel, and love that you still have your combat boots. Looks beautiful there - love the manicured hedges as well! Voila! Heehee. I liked your first comment Sister!! We went to the Marais with Mom and Dad for brunch at a really funky restaurant all those years ago. Wow has it changed since then! Falafel! Yay! Marais...super! Beautiful, Heather. Oh my! We would have had to have passed at least a day together talking beforehand so that I would be able to divert my attention to the visit. But yes, that would be wonderful indeed...it too is one of my favorites. Ah, there is always too much to see in Paris, Loree! Thank you for the vicarious field trip and the vicarious falafel.... This piece made me feel like I was sitting right on your shoulder and left me wishing that I had been by your side. We would have had fun Judith! Sounds like the perfect day .. The mystery, the majesty, and the Falafel. Oh yeah! Merci, Heather, for taking us there. For me it is six weeks and counting .. muddling along the best I can on Kauai, but seriously needing my biannual immersion within wonderful France. Merci Beaucoup ! I can not BEGIN to imagine you working at a snack shack! I just can't! Your last photo was so exciting to me as the door to the left of the Boulangerie is the door to the apartment were we stayed last May and had such an amazing time in Le Marais!! I'm going to send you blog to Patrice, the owner, he will be pleased I'm sure. It was such a great location, so many shops, markets, restaurants, and a nice walk to a main Metro station, Le Chatelet, near the Hotel de Ville. Close to the River - what a beautiful place! I was so glad to read all your posts and how much you, too, enjoyed this area of Paris. With a curtsy and a bow to you and a promise that We WILL all return!! I'll send you a snap of the 'door' - it's a wonderful bright red! http://www.housetrip.com/en/account/bookings/1297140 --- His apartment is always in big demand and may be booked for the next couple of months, not sure! Loved staying there & the host, Patrice, is excellent - shows you all around the neighborhood, etc. I can't be the only one who wants to see a photo of those combat boots! "like my boots. I stood strong… a deep contentment welled in me… to have remembered the strength in being true.” I love it. Jill, I am going to write about one other museum in the Marais but it is chock full of really good small museums...so much to see! Yum, is all; just yum. The little things-the glimpses, the taste of luxury, seems ordinary in another time. I have to imagine these things since I have never been to Paris, thank you Heather for your Marais promenade and the other places. Inspired by your suggestion I’ll be having falafel for lunch at our local Small World Cafe.My son works today in Napa instead of SF and invited me for lunch. 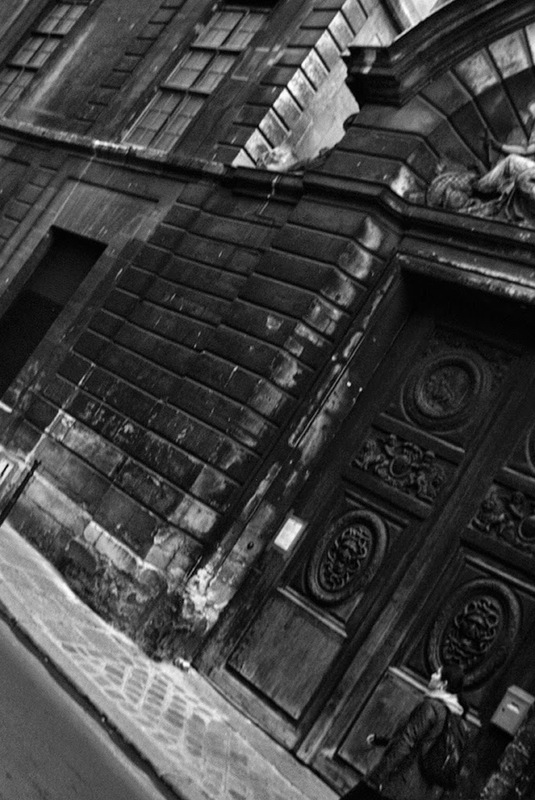 As already with your "Place de Vosges-post", your black and white photography of Paris reminds me of certain books I read... 'oohhh' Maigret (uhm, Simenon) and even more 'ooohhh' Modiano, just recently. Whats that black surface in your felafel? Aubegine? Looks delicious! Heather I have eaten my fair share of those very fafalas! I love them. This post personifies all that Paris is about and the fact that you do not have to spend a fortune to enjoy it and see it. 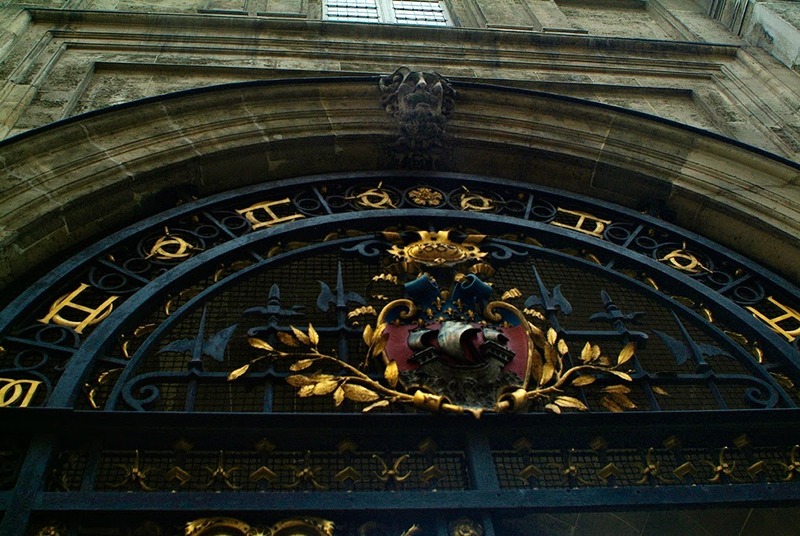 Thanks for sharing your beautiful trip to the Marais! The Marais is one of my very favorite parts of Paris and we were lucky to have rented our apartment in that spot for the week we had in Paris. What wonderful memories we made there!